The Idol Formerly Known as LADYBABY come back with the lead track from the group’s fifth single. This time, Rie and Rei are upgraded with lollipops and ballistics shooting from the tips of their fingers. As the two girls stroll through the night city, they wreak havoc and leaves trails of smoke to mark their visit. “Pelo” works as a chant, and you’ll probably hear echos of “Pelo-pelo-pelo” ringing in your ears. The riff heavy “Pelo” trades on some 90’s rap-metal sounds before breaking into J-Pop choruses and and old-tyme bridge (complete with a scratched-up vignette of a scene). 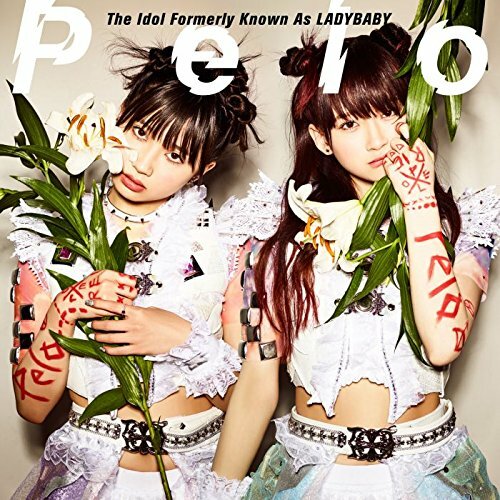 We can all go over and buy The Idol Formerly Known as LADYBABY’s “Pelo”, due on April 12, 2017.